Orlando, Fla. – When Revolution’s Rise of the Rest Road Trip makes its stops in Central Florida, the UCF Business Incubation Program will be well represented. 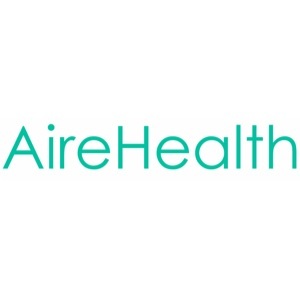 At the Orlando stop, AireHealth, which is revolutionizing care management and drug delivery for respiratory illness via a connected-portable nebulizer, will be one of eight companies to present. The next day in Melbourne for the Space Coast stop, Helicon Chemical Company, which develops and manufactures next-generation rocket fuel for the military and commercial space industries, will be presenting. The winner of the pitch competition at each stop receives a $100,000 investment from Revolution’s Rise of the Rest Seed Fund. 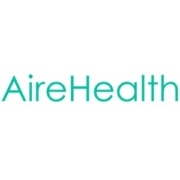 AireHealth’s presentation is fresh off of being named the winner at the Crummer Rollins Venture Plan Competition last month. While based in Orlando, Helicon Chemical Company is working on establishing a manufacturing presence in Brevard County near the Kennedy Space Center. It has been contracted by the federal government to develop a more efficient fuel for rockets and is also partnering with private space companies. Revolution’s Rise of the Rest Road Trip started in 2014 and has visited nearly 40 cities over the past few years. The goal of the tour is to shine a spotlight on growing startup ecosystems outside of Silicon Valley, New York and Boston. Revolution is a D.C.-based venture capital firm that invests in innovative companies all across the country. Rise of the Rest is a nationwide effort powered by Revolution to invest in and work closely with entrepreneurs in emerging startup ecosystems. During each stop, Steve Case, AOL cofounder and Revolution chairman and CEO, will lead a fireside chat and a panel of judges to invest in one company per stop. Having multiple companies from the UCF Business Incubation Program participate is a significant accomplishment, considering hundreds of companies applied. The Orlando main events, including the pitch competition and fireside chat, will take place at Cheyenne Saloon in downtown Orlando on April 29. On April 30, the Space Coast main events will take place at Groundswell Startups. More information can be found here. With seven facilities throughout the region, the UCF Business Incubation Program is an economic development partnership between the University of Central Florida, the Corridor, Orange, Osceola, Seminole and Volusia counties, and the cities of Apopka, Kissimmee, Orlando and Winter Springs. For the 2016/17 and 2017 /18 fiscal years, the activities of these participating firms have helped sustain more than 6,275 local jobs and have had a cumulative impact of more than $888 million on regional GDP and more than $1.59 billion on regional sales. During the same period, the program has returned $12.03 for every $1 invested in the program. For more information, visit Incubator.UCF.edu.